(May 1, 2014) – Jewish Vegetarians of North America is partnering with United Poultry Concerns to organize a protest this Sunday outside a do-it-yourself chicken-shechita (kosher slaughter) class to be held in Berkeley, CA. This class is being presented by Urban Adamah, an organization that promotes urban agriculture in the Jewish community. Fifteen egg-laying hens are to be needlessly killed. The decision to organize a protest was not entered into lightly, and only as a last resort. JVNA greatly values its relationships with other Jewish organizations, including Urban Adamah and Adamah. Strenuous, good-faith efforts were made to persuade Urban Adamah to call off the event. Sanctuaries were found to house the chickens for the long remainder of their natural lifespans. But Urban Adamah rejected this offer, choosing instead to go forward with the slaughter. 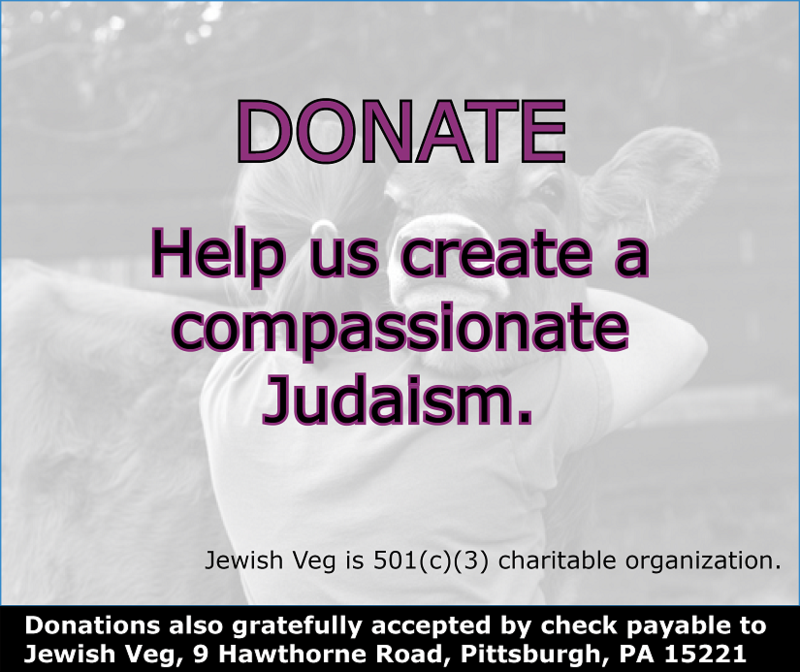 JVNA is encouraging its members in Northern California to participate in Sunday's protest in keeping with the Torah ideals of a plant-based diet and compassion for animals.